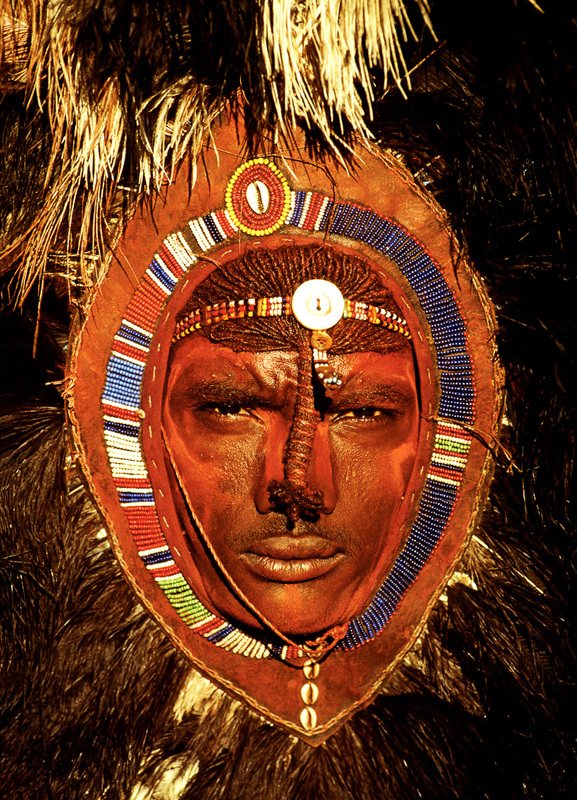 A Maasai warrior displays his beaded headdress with ostrich feathers, called enkuraru. This may be worn by warriors who have not killed a lion. Originally, it was worn during raids and wars to give psychological advantage by its added height, but now it is used only for major ceremonies and dances.